The grizzly bear (Ursus Arctos) is the largest of the two bears found in BC and it inhabits a wide variety of ecosystems. 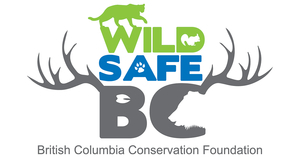 Grizzlies are not found on Vancouver Island nor on Haida Gwaii. Although similar to the black bear in a number of ways, their sheer size and relatively low numbers (about one tenth of the black bear population in the province) make them an animal of great interest to many. BC's grizzly number around 15,000 animals and this represents about one quarter of the entire North American population of grizzlies. Closely studied, grizzly bears are sorted into population units, and the relative sustainability of these units is monitored. 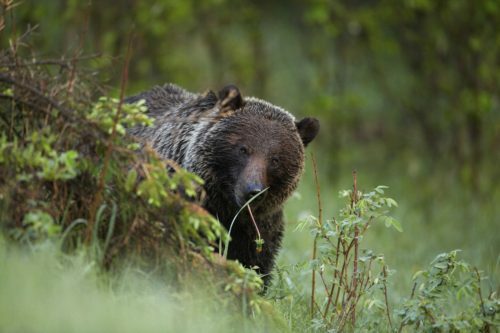 You can find an incredible amount of information on grizzly populations by visiting the BC Government's grizzly page here. Adult males measure between 90-110 cm at shoulder height and can weigh upwards of 500 kilograms. Females are smaller than their male counterparts (about 60% the size of a male). Grizzly bear weights fluctuate greatly depending upon the individual, area, and time of season. Beras emerging from the den are about 20-30% lighter than bears entering the den. Grizzly bears have a variety of coat colours, from dark black, to light brown and silvery (grizzled) coats. Grizzly bears have long claws especially designed for digging - they target both roots of plants, and a variety of rodents that live underground. The long claws of the grizzly are not well-suited for climbing but they can, none-the-less, climb quite well. Grizzly bears have eyesight and hearing as good as or better than that of humans. The myth about bears having poor eyesight is due in part to the bears habit of standing and apparently looking around as if to get a better look at people. What is more likely the case is that the bear is standing to get a better smell of you. Adult grizzlies have few predators in the wild. 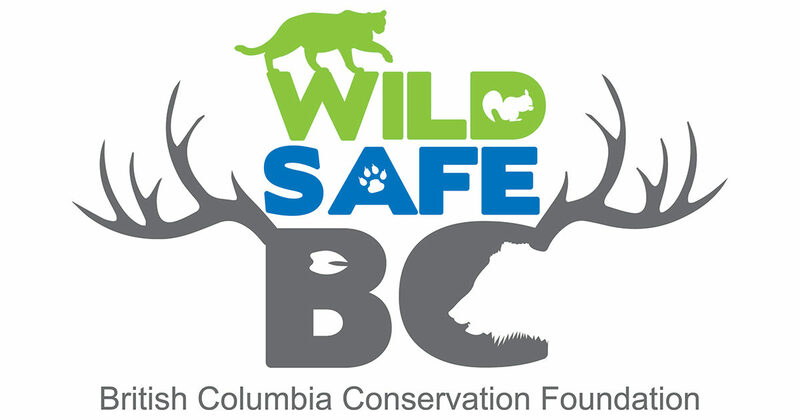 Grizzly cubs may be subject to depredation by adult male grizzlies, and if unprotected by the sow can be killed by cougars, wolves or black bears. Grizzlies are extremely fast over short distances and can bring down large ungulates like moose and caribou. Grizzlies are normally solitary animals apart from when sows are with their young and tend to only congregate when there is an abundance of food. While grizzly bears have a “home range” they do not have a territory that they defend as their own. Bears will tolerate other bears in their presence when there is an abundance of food such as a run of salmon. Grizzly bears are omnivorous animals with vegetation making up about 80% of their diet and the remainder coming from things like small rodents, fish, insects, carrion (dead animals) and sometimes young deer, elk, caribou or moose. Male bears tend to eat more meat than do females. Diets vary substantially with the season, the individual and the area. Grizzly cubs remain with their mother for two to three summer seasons. 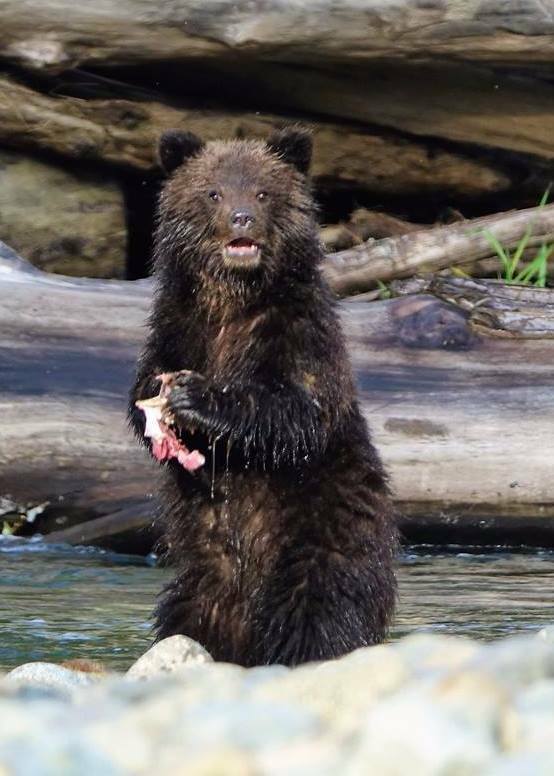 Many grizzlies target salmon runs for a part of the diet - but there are some populations of grizzlies that do not have access to salmon of any type. Looking at the above graph we can quickly see some of the major attractants that bring grizzly bears into conflicts with humans. Livestock, which includes things like chickens, pigs, sheep, goats and cattle, is a great caloric reward for a grizzly and, unless protected in some way, a relatively risk-free meal for the bear. Fruit, while lacking the caloric reward of livestock is often much more available and a bear can bulk up quickly thanks to an poorly managed fruit tree. 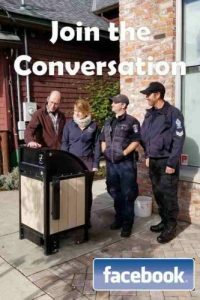 Garbage, as for black bears, is also a powerful attractant - and really should be one of the easiest things to manage - but still some people do not understand the need to keep garbage secure until the day of collection. Grizzlies, due to their large size, speed and sheer strength are formidable predators and can count everything from chicken and rabbits up to cattle as part of their potential diet. Raising livestock in grizzly country puts an onus on the owner to protect the livestock from depredation by grizzlies and other predators. 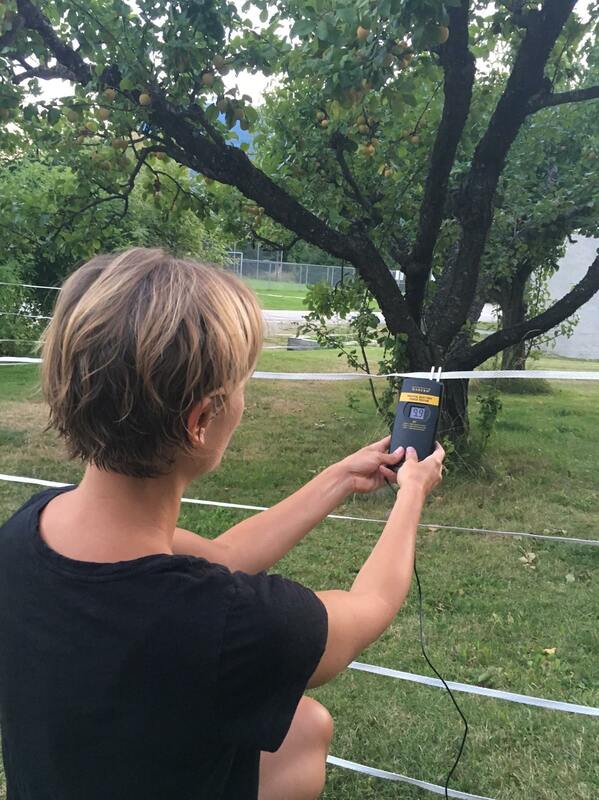 Check out specific electric fencing information here. Fruit trees are great for food security and can hit all the check boxes for a locally sourced, organic, contribution to a diet - but, if not managed properly, can create major safety concerns for the home-owner and may contribute to the destruction of a food-conditioned bear. Grizzly eat a lot of wild fruit like huckleberries, blueberries, elder berries and mountain ash so they can quickly adopt our fruit trees as their own. Properly managing your garbage will not only prevent grizzlies from accessing it, but it will also keep a multitude of other animals from becoming food-conditioned and at great risk of being destroyed for having become a 'problem' animal in our neighbourhoods. 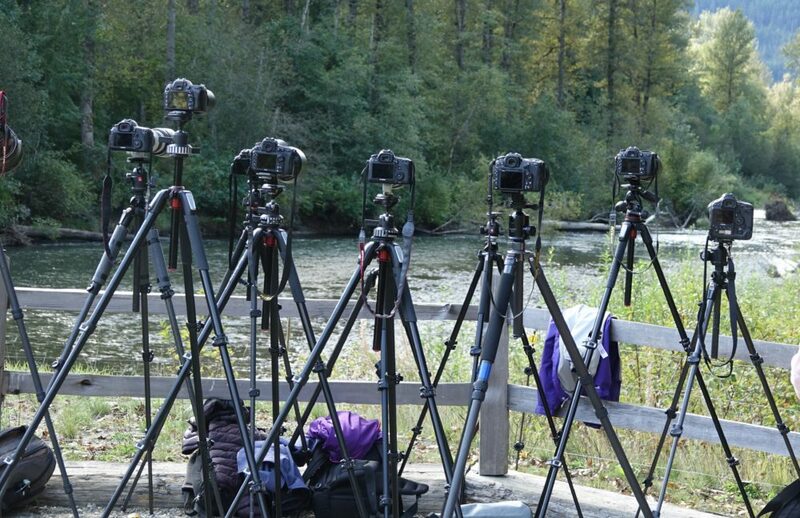 Recreating in grizzly country puts an onus on the visitor to: first, understand the risks involved, and secondly to take steps to minimize the potential for conflict. Grizzlies differ from black bears in that they evolved in treeless environments and their response to a perceived threat is to charge and assert themselves against the threat. Black bears, having evolved in treed environments would sooner climb a tree or run into a forest to escape a perceived threat. This creates the situation where surprising a grizzly is potentially more dangerous than surprising a black bear (although neither situation is advised). Ride in groups whenever possible. Learn more about the Bear Smart Community Program.